The study, believed to be the first to examine a cross-section of metals in multiple e-cigarette brands, analyzed the liquid in five brands of first generation e-cigarettes for cadmium, chromium, lead, manganese and nickel. The liquid is the component of e-cigarettes that, when heated, delivers ingredients, often including nicotine and flavors, to the user. 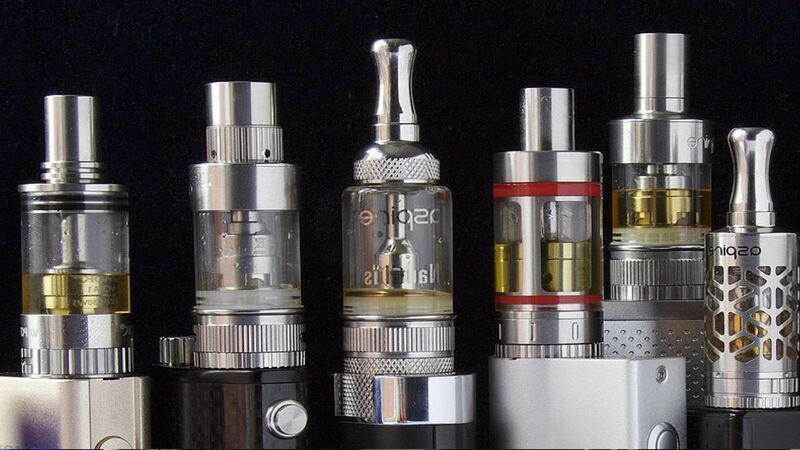 In first generation e-cigarettes, the liquid is stored in the cartridge in close contact with the heating coil. The researchers found all five heavy metals — which can be toxic or carcinogenic when inhaled — in all five brands, though levels varied by brand. The main source of the metals, the researchers believe, is the coil that heats the liquid that creates the aerosol, which is often but erroneously referred to as vapor. The study did not look at the possible presence of metals in e-cigarette aerosol. The findings appear in the January issue of the journal Environmental Research. The Food and Drug Administration began regulating e-cigarettes last year, but has not yet issued warnings. E-cigarettes may be less harmful than cigarettes for current smokers who switch completely to electronic cigarettes. A serious concern is the appeal of e-cigarettes to young people who have never smoked, since e-cigarettes might be habit forming, and might not be totally safe as emerging research shows that nicotine can adversely affect the developing adolescent brain. Last fall, U.S. Surgeon General Vivek Murthy called e-cigarette use by young people a serious concern. E-cigarette use among high school students jumped 900 percent between 2011 and 2015. For their study, the researchers selected five leading brands of so-called first generation e-cigarettes, which are referred to as cig-a-likes because they resemble traditional cigarettes. (Newer ones look like small cassette recorders with a mouthpiece. In the newer devices the liquid is added from a dispenser prior to use. In contrast, the liquid in first generation e-cigs is stored in the cartridge together with the coil, which increases the liquid’s exposure to the coil even in the absence of heating.) The five brands are sold across the United States in big-box retail stores, convenience stores and gas stations, as well as online. Three of the five brands constituted 71 percent of total market share in 2015. If a brand came in more than one flavor, the researchers chose one flavor for consistency’s sake. To test the liquid for metal levels, the researchers extracted samples of the liquid; the liquid had not been heated by the coil prior to extraction. The liquid is a mixture of propylene glycol, glycerin, nicotine and flavorings. Because liquid volume varied considerably from brand to brand, the research team tested for concentrations of metals in micrograms per liter. The five metals — cadmium, chromium, lead, manganese and nickel — were present in all five brands, with cadmium markedly lower than the other metals and with a considerable range of concentrations among the brands. For instance, one brand had a high concentration of all five metals. In that brand, the concentration of nickel, which is considered the most serious carcinogen when inhaled, was 22,600 micrograms per liter, 400 times that of the brand with the lowest concentration of nickel. In that same brand, the one with the highest concentration of all five metals, the concentration of manganese was 690 micrograms per liter, or 240 times that of the lowest concentration in yet another brand. For now, FDA regulations require e-cigarette makers to submit ingredient lists as well as information about potentially harmful ingredients, including four of the five metals analyzed in this study — nickel, lead, chromium and cadmium. The FDA has yet to issue proposed regulations on e-cigarette labeling. In addition to the coil, the researchers believe some of the metals may come from the components of the e-cigarette device or the manufacturing process.